Bridget K Romano; Utah Solicitor General; Attorney for the State of Utah and Utah Attorney General Mark L Shurtleff. Jeffrey L Shields; mark L Callister; Zachary T Shields; Michael D Stanger; Calllister, Nebeker and Mccullough; Attorneys for Special Fiduciary Bruce R Wisan; Mark P Bookholder; Arizona Attorney General . Brief of Appellee, Shurtleff v. Wisan, No. 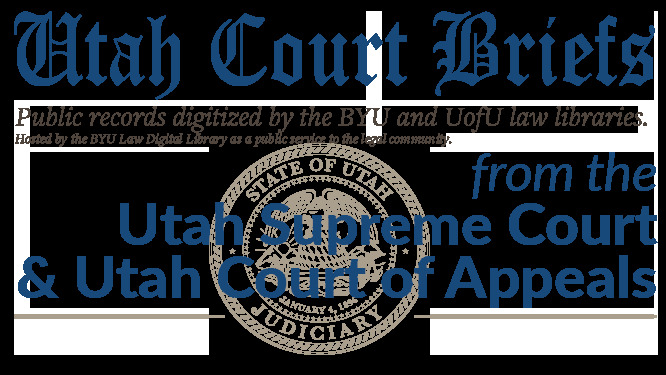 20120300 (Utah Supreme Court, 2012).